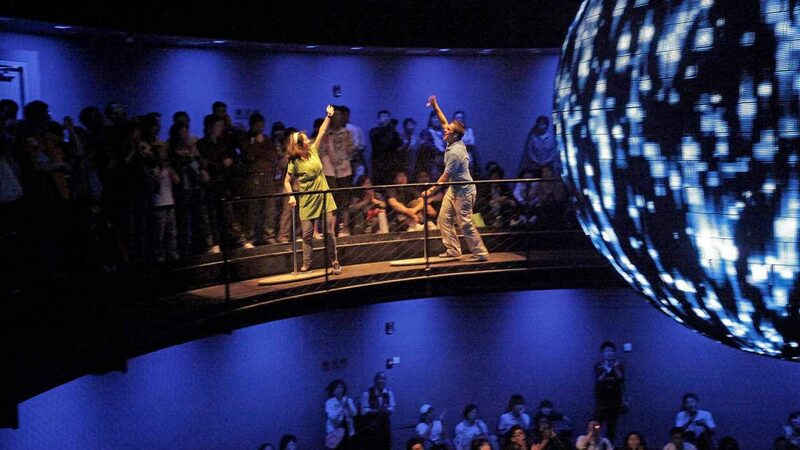 The sphere of balancity, the German Pavilion at the Expo 2010 in Shanghai, was an interaction specially invented for the pavilion. Control and monitoring technology were specially developed for this innovative approach to interaction. The mechanics were controlled by acoustic assessment of the audience´s calls. 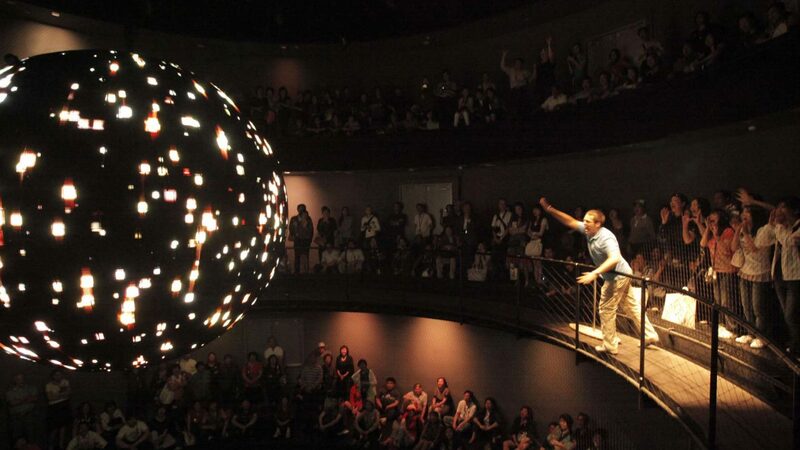 This sphere, which was fitted with more than 400,000 LEDs (3 m in diameter and weighing 1.2 tonnes), was invented especially for the German EXPO Pavilion – it´s movement was based on voice control. The ball was set in motion like a pendulum by loud shouts and picked up more and more speed over the course of the show. It absorbed the audience´s energy, flew higher and higher, faster and faster. At its highest point, it started to move in circles. Through the images on the sphere, which depicted diversity and differences, visitors themselves built a city for the future, in which everyone will enjoy living and where everything has its place. The balancity idea was beautifully reflected and brought to life in the swinging pendulum. Experiencing this interaction, audience members felt that they can truly make a difference. The sphere showed diverse images of a city in balance. First it reflected the polarities and oppositions in its pendulum movement. 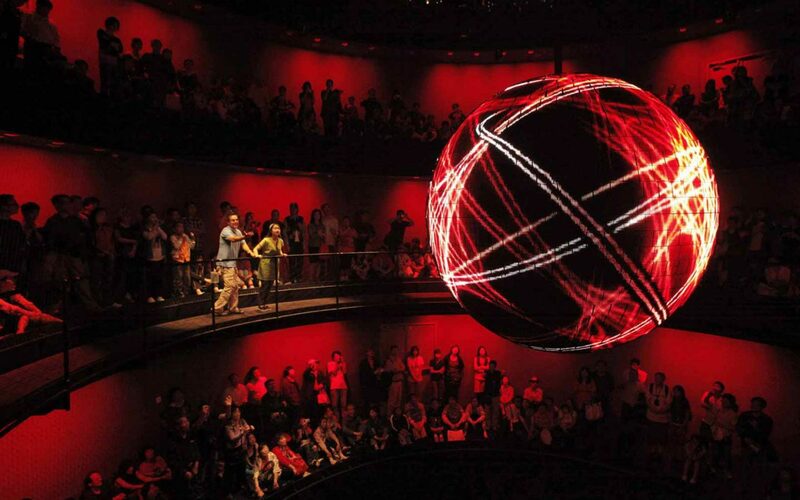 Through the audiences´ calls, the sphere gradually received more and more energy. It took on their individual experiences and wishes and connected them together. In the final circular motion, the sphere brought the differences into balance, and balancity arose. 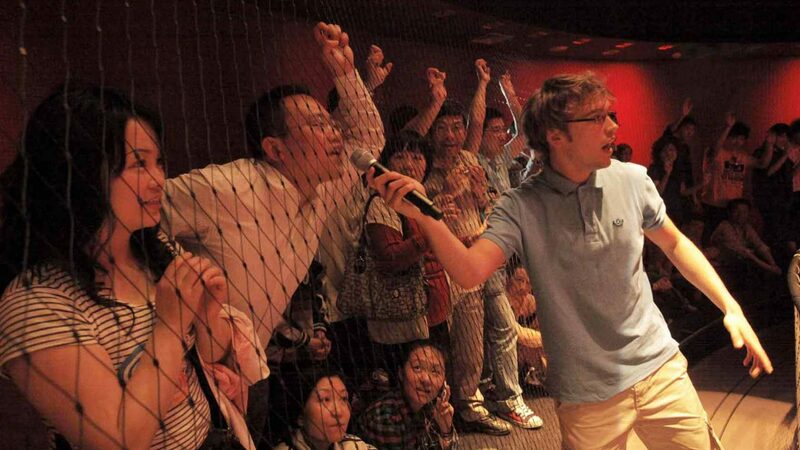 Not only was the German Pavilion at EXPO 2010 in Shanghai extremely popular with the predominantly Chinese audience, its quality was also highly valued by the Asian experts. Especially the Sphere of balancity seems to have left a strong impression in Asia. Now, the interactive Sphere in the German Pavilion has received yet another award for excellence in communication design: the „Design for Asia Award“ (DFAA). 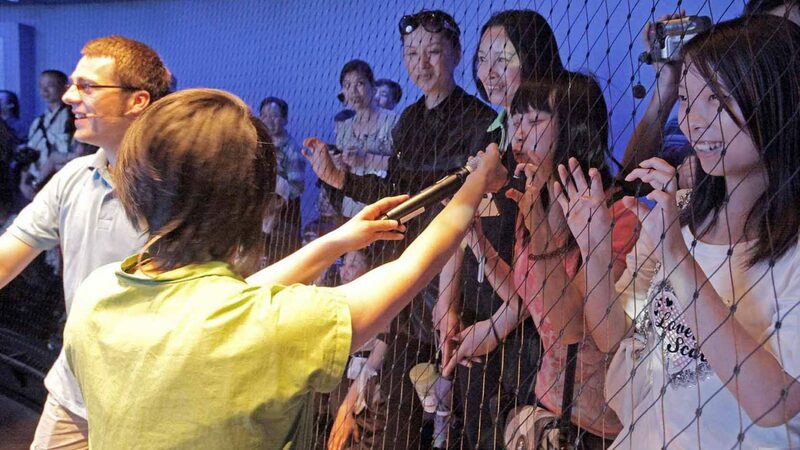 25.000 Besucher strömen jeden Tag in den deutschen Expo-Pavillon im chinesischen Schanghai. Seine Konzeption gilt schon jetzt als großer Erfolg. Das macht besonders die Stuttgarter Kreativenszene glücklich, denn die meisten Beteiligten kommen von hier.